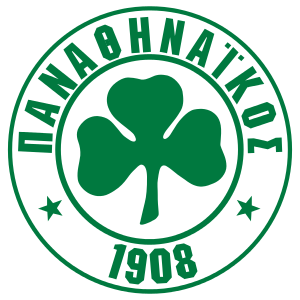 Get the new Panathinaikos F.C. 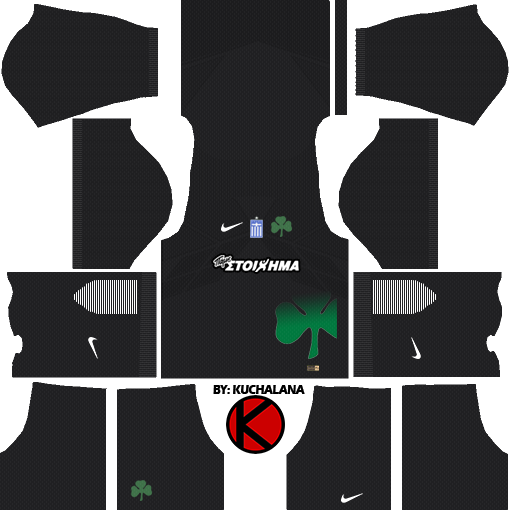 (Παναθηναϊκός) Nike kits seasons 2017/2018 for your dream team in Dream League Soccer 2017 and FTS15. 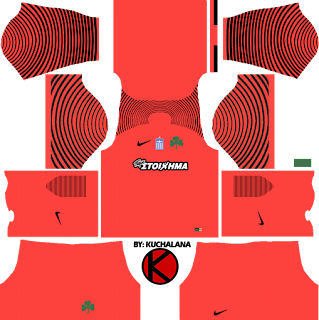 Using the most advanced technology Nike has ever developed, the kit is 10 percent lighter with the new Aeroswift technology and 50 percent more flexible than the previous format. 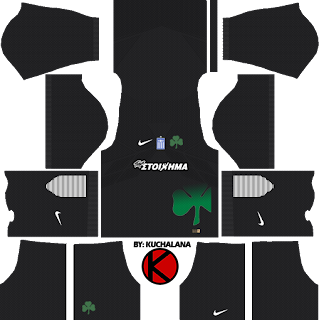 With the new high-performance yarn, it absorbs up to 20 percent faster than the skin before, drying up 25 percent faster. 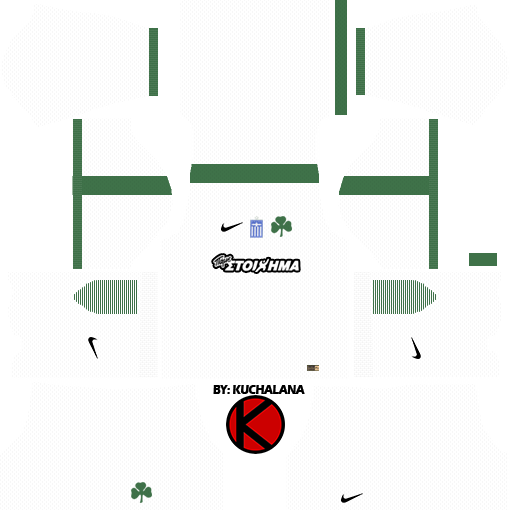 Forms and shorts, which are made with a new sewing technique that combines single and double loops, have better breathing and fit. 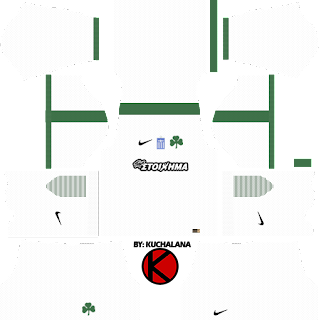 With recycled polyester providing unparalleled performance and less environmental impact, Nike is putting forward sustainable innovation for football kits. 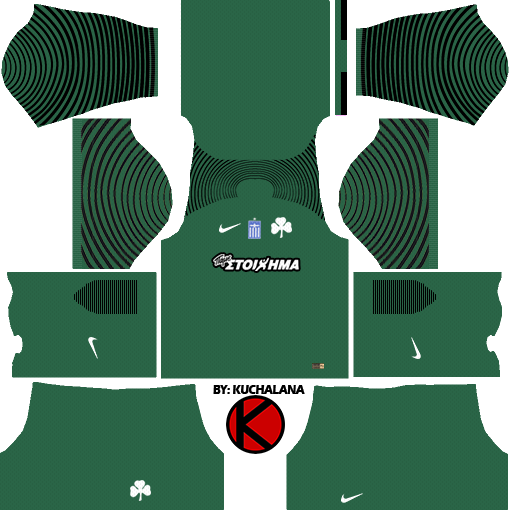 Kitten t-shirts and shorts are made from recycled polyester fabric prepared from the yarn obtained by melting recycled plastic bottles. 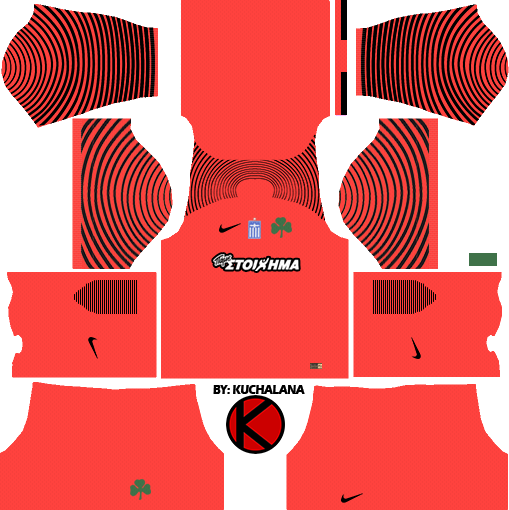 Since 2010, Nike has collected more than three billion plastic bottles from recycled waste landfills, making it a recycled polyester that is worth more than 5,200 football fields. 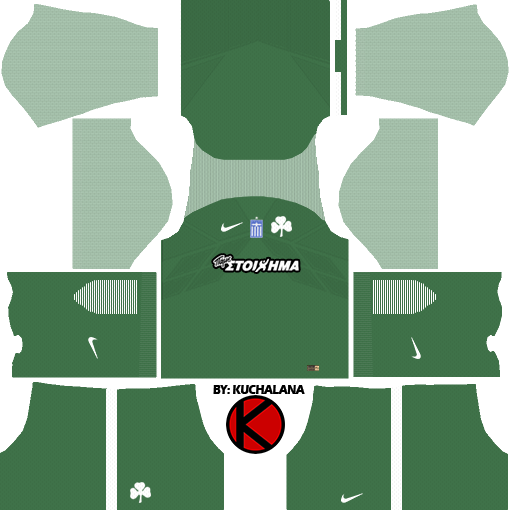 6 Komen untuk "Panathinaikos F.C. 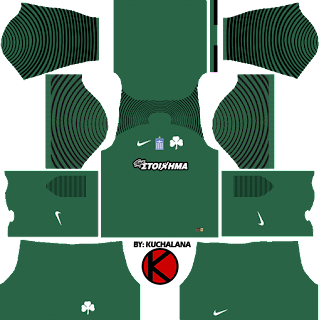 Kits 2017/2018 - Dream League Soccer"
Can you please create panathinaikos kits 2018/2019?